Europe was reshaped by two forces during this time. The first of these was the Renaissance (rebirth), a cultural movement that started in Italy during the 14th Century before spreading throughout the continents over the following three hundred years. Whilst the Renaissance tends to be considered in terms of artistic development such as linear perspective in painting it also encompassed a resurge in learning from classical sources and a more generally humanist educational reform. This educational reform was based on reasoning and empirical evidence. The second force was the Reformation, the establishment of Protestantism as a branch of Christianity. It was prompted by discontent with the perceived worldliness of the Papacy and the financial demands it made. It had begun as far back as the 14th Century when the Lollards, led by John Wycliffe and the Hussites who were followers of a Czech reformer called Jan Hus began to attack the hierarchical and legalistic structure of the Church. The Reformation however, is usually reckoned as having begun in 1517 when Martin Luther protested about Church corruption and the sale of indulgences. The movement subsequently spread across Europe during the following two hundred years. 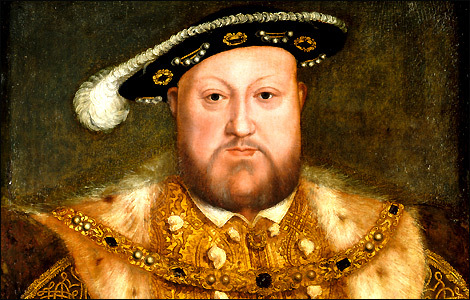 For England’s part the process was a much more local affair and centred on Henry VIII’s disputes with Rome regarding the status of his marriages. At first Henry (pictured – from the portrait by Hans Holbein) opposed the reforming movement and dedicated his book Assertio Septum Sacramentorum (Defence of the Seven Sacraments) to Pope Leo X, who rewarded him in 1521 with the title Fidei Defensor (Defender of the Faith). This Papal loyalty began to change in 1527 with Henry’s desire to end his marriage to Catherine of Aragon in order to marry Anne Boleyn. In addition he was also keen to extend the sovereignty of central government. It was therefore, for both political and personal reasons that he both overthrew and dissolved the monasteries. Henry’s education was under the direction of John Skelton and Bernard Andre amongst others, and as a result he received the best grammar school, song school and university education of the day. He studied Latin, literature, rhetoric, dialectic, music, French, Italian and Spanish. Leach estimated that there were approximately 400 schools for a population of just 2.25 million with one school for every 5,625 people although he did accept that it was difficult to ascertain the precise number of schools and even harder to calculate the exact population levels at any given point during the Middle Ages. Under Henry’s leadership, the English Reformation affected education in a number of ways. Some of the old foundation schools were closed and an equal number of new ones were opened. 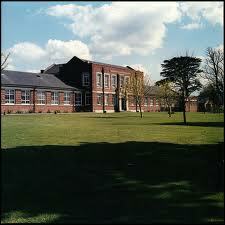 Many older schools were revived, expanded, or converted into free schools. The grammar school remained central to the system, but there was an important change in its sponsorship. While the typical medieval grammar school belonged to the church, the new grammar schools were mostly private foundations supervised in variable degrees by both Church and State. The abolition of the larger monasteries in 1540 resulted in the refounding of twelve grammar schools as part of so-called ‘new foundation’ cathedrals. In these new institutions the monks, who had removed the canons 600 years earlier, were now turned out to make room for canons. The statutes of the re-founded school at Canterbury included a chapter concerning ‘The Method of Teaching”. It allowed for six classes with three under the Usher and three under the headmaster. These schools would provide the majority of the education of England until the eighteenth century. Another major outcome of the Reformation was the translation of the Latin Bible into the vernacular of the day and in 1535 Henry VIII’s Vicar-General and chief adviser Thomas Cromwell ordered that copies of William Tyndale’s new English Bible were to be placed in every parish church. Parliament was unhappy with this decision and showed its displeasure in 1543 (three years after Cromwell had fallen from grace and been executed) by passing an Act which banned artisans, husbandmen, labourers, servants and almost all women from reading or discussing the Bible. The prohibition proved impossible to enforce however. And the brief availability of the English Bible had already encouraged many to learn to read and had made them think about the nature of society and the church. ‘This was a cultural revolution of unprecedented proportions and the consequences are deemed to have stretched way beyond the period of the Reformation and the English Revolution. ‘while the schools were reorganised by the Reformation their teaching was not redirected by the Renaissance’. This meant that Greek and occasionally Hebrew were added to the main Latin curriculum (to assist correct understanding of the scriptures) and there was more study of literature, but the education provided by the grammar schools – and by the universities – remained rigid and narrow. As a result the major achievements of the Renaissance, in the vernacular literatures, in geographical discovery, in new painting and music, in the new spirit in philosophy and physical inquiry, in changing attitudes to the individual, had little effect on the standard forms of general education. The renaissance did however, have the effect of extending education to the laity while Henry’s reforms reduced the control of the monks. The period was a complex one, but with three clear trends: ‘the increase in vernacular teaching, the failure of the traditional institutions to adapt either to a changing economy or to an expanding culture, and the passing of most of the leading schools from sponsorship by a national institution to private benefaction. The main educational theories of the Renaissance – especially the ideal of the scholar-courtier – had little effect on English schools. It has also been argued that they had ‘the paradoxical effect of reducing the status of schools’ in favour of an alternative pattern, ‘drawing in part on the chivalric tradition, of education at home through a private tutor’ (Williams 1961:133), a preference which, for many families, would last well into the nineteenth century. As early as the 16th century and even more so in the 17th there was much criticism of the limited curriculum of the grammar schools because it was based on the requirements of the universities and the learned professions. In particular, it no longer suited the needs of the upper classes, who wanted their sons trained for posts at Court, for diplomacy and for higher appointments in the army. As a result, two other types of educational provision became popular with the upper classes: apprenticeships in crafts and trades, which were standardised in the Elizabethan Statute of Artificers in 1562; and the chivalry system, which enabled noble families to send their young sons to be pages at great houses and undergo a course of training for knighthood. It has been pointed out that the existence of these two systems, alongside the academic system, reminds us of the determining effect on education of the actual social structure. The labouring poor were largely unaccounted for although there are notable cases of individual boys getting a complete education, through school and university based on merit. For the rest, education was organised in general relation to a firm structure of inherited and destined status and condition: the craft apprentices, the future knights, the future clerisy. At this time, in France and in the German and Scandinavian states – knightly or courtly academies were being founded to give instruction to young nobles, not only in horsemanship and the use of arms, but also in modern languages, history and geography, and in the application of mathematics to military and civil engineering. A proposal for the establishment of a school on these lines in England was made by Sir Humphrey Gilbert in 1572, and in the following century Cowley, Locke, Defoe and other writers urged the setting up of such schools. In the 17th century England’s upper classes sent their sons to private tutors, and then to the continental knightly or courtly academies. The development of this type of school designed for the governing class was one of a number of movements which reflected the disparity between classical grammar schools and the requirements of contemporary life. Although the traditional grammar school changed little, there were significant developments in the education of younger children. The number of schools increased and there was a wide variety of forms, ranging from instruction by priests to private adventure schools..
Another type of school which began to develop was the ‘writing school’. The aim of these schools was to meet the secular needs of a society in which trade was now expanding rapidly and whose administration was becoming more complex. Some grammar schools adopted their policy of teaching English and accounts. Elizabeth I’s reign from 1558 to 1603 was a period of extraordinary expansion: Elizabethan England ‘took the world by surprise’ – in navigation, commerce, colonisation, poetry, drama, philosophy and science. Much of this was due to ‘the immense extension of lay initiative and effort’ in every area of national life – ‘not least in the sphere of education and the schools’ (Leach 1915:332). Ascham also stressed the importance of play in education. He set up his own school, funded by Richard Sackville. By about 1100 schools were attached to all the cathedrals and collegiate churches with the schoolmaster being one of their most important officers and teaching one of their most important functions. New schools were being established and there was a demand for them in every town of a considerable size but not all of the new schools were being provided by the Churches. 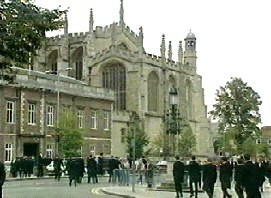 In addition some schools were removed from Church control, such as Bedford, Christchurch and Waltham. These schools were handed over to secular canons. Bury St. Edmund’s School had probably been founded as part of a collegiate church before Canute’s time and was given an endowment at the end of the twelfth century to convert it into a ‘free or partially free grammar school’. The monasteries did not take this lying down and tried to regain control of the schools. In Bristol the city grammar school was transferred from the governance of the seculars to the regulars on the foundation of Keynsham Abbey in 1171. With regard to curriculum the average attainments were just reading and writing and this was supplemented by chanting and an elementary knowledge of Latin in the cathedral schools. But the school curriculum was beginning to develop. For younger pupils rhetoric became as important as grammar while a growing availability of the works of Aristotle resulted in a greater emphasis on logic. At this stage education was still primarily a Christian enterprise but liberal education was developing. This liberal education was a preparation for the specialised study of law, medicine and theology. The idea of Seven Liberal Arts (grammar, rhetoric, dialectic, music, arithmetic, geometry, and astronomy) dated back to the 5th Century but was now beginning to take on a greater importance in education. While control of the church over education was beginning to diminish during this time in its development it was never removed entirely. And as we know religious provision of schools is still a significant and expanding feature of education in England today. The new universities (which we shall discuss in our next posting) were determined to be independent corporate learned bodies deciding their own conditions for granting degrees and licences to teach. Finally, by the end of the 15th century the network of grammar and song schools had been joined by a number of ‘independent’ schools. By the latter half of the 14th Century benefactors to monasteries had diminished and wealthy donors were beginning to establish chantries, each one with its own priest who could celebrate mass for the benefactor’s soul and a lot of times conduct a school. The first of these chantry schools was probably the grammar school at Wotton-under-Edge in Gloucestershire, founded in 1384 by Lady Katherine Berkeley. Chantry schools were effectively independent of the church. This is different to our modern understanding of the term ‘independent school’ which indicates independence from the state. Over time more independent schools were opened for the boys of the ruling class who paid fees and sons of the poor and needy. These boys were schooled in reading and writing, plain song and Latin Grammar. Because of their independence admission to these schools was not restricted to one local catchment area but was on a national basis. They drew increasingly on a single social class, combining the educational methods of the grammar schools and the social training of the chivalric system (1). They developed into the ‘public schools’ (private or non-state schools) which still exist today. In view of their close connection with the colleges of the new universities, their development had a profound effect on the educational system as a whole. Two of the earliest independent schools were Winchester and Eton. Winchester College was founded by William of Wykeham who was Bishop of Winchester and Chancellor to Richard II. Winchester’s charter of foundation was granted in 1382, the buildings were begun in 1387 and the first scholars entered the school in 1394. During this period William of Wykeham also founded New College Oxford to provide for the further education of his seventy Winchester pupils. The special significance of Winchester was that although it was connected with New College it was a separate and distinct foundation for boys being an independent corporation, self-centred and self-governed’). Eton College was founded by Henry VI in 1440 and was followed a year later by King’s College Cambridge which was to be supplied with scholars from Eton. The school was to be part of a large foundation which included a community of secular priests, ten of whom were Fellows, a pilgrimage church, and an almshouse. Provision was made for seventy scholars to receive free education. The growing interest of the laity in education during this period is visible in the licences that were granted to two Trinity gilds in Oxfordshire to maintain schoolmasters, one at Deddington in 1446, and the other at Chipping Norton in 1451. Finally, the great schoolmaster William Wayneflete founded Magdalen College and attached two schools, one at his birthplace of Wainfleet, Lincolnshire in 1459 and the other Magdalen College School, by the gates of the college at Oxford. At the latter he paid for a master to be paid £10 a year and an usher (his deputy) £5, ‘to teach all comers freely and gratis without exaction of anything’. It is noteworthy that this system of public schools being used as feeder schools for Oxford and Cambridge persists to this day. (1) Chivalric System – For youngsters of the aristocracy in the Middle Ages of the 13th century, there was chivalric education. This was a kind of secondary education that young men received while living in the homes of nobles or at court. It included some poetry, national history, heraldry, manners and customs, physical training, dancing, a little music, and battle skills. Chivalric, secular education was governed by a code rather than a curriculum. Boys of the lower classes could learn a trade through apprenticeship in a craftsman’s shop. England’s grammar schools should be rated on tougher league table measures, a report suggests. They should be ranked on how many pupils get A and A* grades at GCSE, says a study for the Schools Network. Schools in England are measured on how many pupils get A* to C grades in five GCSEs, including maths and English. The report also shows wide variations in both the intake of grammar schools in different parts of England and in pupils’performance at GCSE. In general, it found that grammars in less wealthy areas were more likely to have pupils who entered them with lower academic attainment than other grammars. Performance at GCSE was also relatively lower, although still high when compared with the national average. Usually grammars come high up in the academic league tables, with most scoring close to 100% in the government’s chosen measure- pupils getting five A* to C grades including maths and English. Among pupils at comprehensives, about 58% reach that level. The study was carried out by Professor David Jesson for the Schools Network. He is an associate director of the organisation, which represents 5,000 schools and academies, including about 100 of England’s 164 grammar schools. Professor Jesson looked at how the schools measured up against each other if ranked on what proportion of pupils got five GCSEs including maths and English all at A* or A grades. He said: “I am quite surprised by the findings because of the range of outcomes for schools which appear to recruit very similar students. “The 19 schools in London are really quite outstanding. The South East [Kent and Medway] came lowest. Grammar schools are small in number compared with other secondaries; there are about 3,500 secondary schools and academies in England. Professor Jesson, of the University of York, says his study shows some grammar schools need to improve. “Grammar schools should expect to achieve high levels of performance for their pupils and most do. There are however substantial differences between grammar schools’ outcomes which tend to go unnoticed in the standard performance tables. Those opposed to academic selection believe it widens the gap between rich and poor, and say grammar schools tend to be dominated by the middle classes. Just over 2% of children at grammar schools are eligible for free school meals compared with a national average of about 16%. The campaign group Comprehensive Future says it does not want to see grammar schools abolished – just the 11-plus exam which is used to select pupils. Fiona Millar from the group said: “I do think it is important that the performance of grammars is scrutinised more closely. “The 5 A* -C measure is quite a crude one with which to judge schools that are already taking the top 20-30% of children. A Department for Education spokesman said: “No school can ever afford to rest on its laurels. “We want to make sure that all schools are stretching their brightest pupils and that schools with very able intakes are helping students reach their full potential rather than allowing them to coast along. Kent County Council has voted to allow a grammar school to expand onto a new site. The decision is likely to lead to the first major expansion of a grammar school in England for half a century. The law in England forbids the opening of any new grammar schools, but recent changes allow them – and other popular schools – to expand. Critics accuse the government of “expanding selection by the back door”. England has 164 grammar schools and there are 68 in Northern Ireland. Academic selection and grammar schools were abolished in most areas of England in the 1960s and 70s. But some areas retained them – including Buckinghamshire, Kent and Trafford. In other areas, there are individual grammar schools. Children have to pass the 11-plus exam to get in. In 1998, Labour banned the opening of any new grammar schools, but recent changes to the Admissions Code – the rules schools have to follow when allocating places – allow oversubscribed schools to expand beyond their boundaries. ‘Parental demand’In Kent, parents in the Sevenoaks area set up an online petition to campaign for such an expansion, arguing that this was the only part of the county without a grammar school. They say more than 1,100 pupils who have passed the 11-plus have to travel for an hour to Tunbridge Wells to their nearest grammar school. Now Kent County Council has voted to press ahead with plans to set up a “satellite school” in Sevenoaks linked to existing grammar schools in Tonbridge and Tunbridge Wells. The new “satellite school” would take in 120 pupils in a year. The National Grammar School Association says many other grammars would like to expand. Jennie Varley, vice chairman of the group said: “This is excellent news. ‘Back door’Labour’s education spokesman Stephen Twigg has accused the government of “sneaking in changes” and “expanding selection by the back door”. “We should not divide children at 11,” he told MPs earlier this year. A Department for Education spokesman said on Thursday: “The overriding objective of this government’s reforms is to increase the supply of good school places so parents have real choice. “That includes making it easier for good schools – grammar or otherwise – to increase their published admission number. Margaret Tulloch, from the Comprehensive Future campaign group, said grammar schools widened the gap between rich and poor. “We want to see not grammar schools abolished, but selection abolished. We don’t want the 11-plus; we don’t want children facing this barrier, this test at 11, which rejects most children, especially poor children and children with special needs,” she said. How Do I Get My Child Into Grammar School? Is A Grammar School The Best School For My Child? In an uncertain world with intense competition for well paid jobs parents are striving harder than ever to give their children the best educational opportunities in life. This has translated into a growing demand for Grammar School places, a highly understandable aspiration as Grammar Schools have a proven track record when it comes to their A’ Level students being offered places in higher education. A greater percentage of students from Grammar Schools are accepted for both universities in general and the selective universities, which include Oxford and Cambridge, than other sixth form education providers. Figures we uncovered for 2007/09 which would affect the life chances of students living in Gainsborough, Lincolnshire help to highlight the differences. There are now two schools in the town, Queen Elizabeth High School (QEHS), which along with other local Grammar Schools is among the top 100 UK state schools for sending students to selective universtities, and Trent Valley Academy (TVA). TVA does not provide sixth-form education and students wishing to do A’ Levels will attend either Lincoln College of Further Education or John Leggott Sixth Form College in Scunthorpe. As we can see from the chart above there is a great disparity between the numbers of students entering the top universities from the different establishments with QEHS’ entry rate being 13 times that of students from Lincoln College. As parents and students are beginning to recognise this trend we have experienced a year on year increase in demand for 11 Plus preparation. 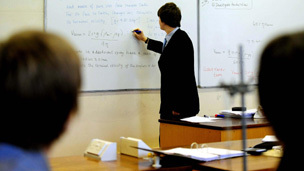 Some parents realise that the Comprehensive and Secondary Schools are unable to successfully cater for higher ability students because expectations are focussed on gaining ‘C’ grades at GCSE and students who are capable of more are not always encouraged to aim higher or even given the opportunity to do so. For many of our 11 Plus students the Grammar School is a way to ensure they have access to the higher grades, the traditional subjects and an opportunity to network with children of a similar ability and temperament. We are seeing 11 Plus preparation requests from parents of children who are in the high average band even though they are not naturally academic. These students have to work harder to pass the exam and study harder to maintain their grades. In many cases they achieve success and this is highly commendable. Parents are now looking at both the academic and social advantages of the Grammar Schools. They also recognise that in some Comprehensive Schools or Academies behaviour management is an issue and this hinders learning. In addition, the current financial climate has resulted in families who may have previously considered private schooling looking for Grammar School entry instead. This enables their children to access a similar quality of education at the cost of the tax payer, thereby further increasing competition for already limited places. Is The Grammar School System Fair? I believe that access to education should be fair to all students. 11 is a very early age to make such an assessment of a child’s academic potential as some students develop later than others. My own personal experience, through attending the local Secondary Modern School, was that some subjects were unavailable at GCSE Level. And, of the subjects that I did take, I was unable to gain higher than a C grade in some due to the syllabus not being covered. This then restricted my A-Level choices. We have tutored a student through our Centre who needed an A grade in Maths but their school did not have time to teach the syllabus because he was only in Set 2. He did gain his A grade but only because he came to us for extra tuition. In areas where the Grammar School system exists the self esteem of students can be affected detrimentally because those who do not ‘pass’ their 11 Plus exam see themselves as having already failed. For those students with a high ability and a high level of motivation the Grammar School can provide an environment for them to succeed. We have seen many students who have benefitted from this system. However, I do not believe that if a child is unable to secure a Grammar School place they should have less choices in subjects and limited access to higher education because they attend a Comprehensive School, Secondary School or an Academy. They should be able to achieve the same high grades in the same subjects no matter what educational institution they attend. We are aware of at least one school where students need to achieve 97% or higher to secure a place. We also know of families who have moved home in order to secure Grammar School places. All these factors mean that even high achieving students are not always successful in attaining a Grammar School place. There is more pressure today on children to score highly on 11 Plus papers to secure a Grammar School place and parents are investing in tuition to give their child the best possible chance. We have also seen an increase in students retaking Grammar School entrance exams for entry into Years 8 or 10. How Do I Know If My Child Should Sit The 11 Plus Exam? 1) Talk to your child’s teacher to see if they feel a Grammar School would be the right environment for them. 4) If you feel that you need to access some professional tuition don’t leave it too late. We recommend a minimum of two terms to ensure that skills are mastered in as natural a way as possible. 7) You know your child. Is a Grammar School with a high work load and a high focus on exams an environment that your child will flourish in? Grammar Schools are suitable for some high achieving students but not all. I personally know some students who have flourished and thrived in the Grammar School system and have gone on to be doctors. I also know students who found that the Grammar School wasn’t suitable for their needs and despite gaining a place ended up transferring to the local Comprehensive or Secondary school. Some of these students still completed a university education, where others did not. Whilst environment and expectations play a role in educational achievements motivation and hard work are also keys which are necessary to succeed. Students who are highly motivated can achieve outside of a Grammar school education, while conversely, students in a Grammar school can fail to achieve their potential due to a lack of motivation and hard work. The first schools were established by St. Augustine in order to teach Latin to English priests. 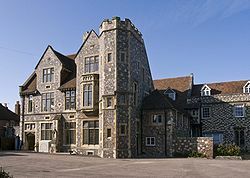 It is generally accepted that the first of these schools was King’s School in Canterbury (pictured above), a Grammar School which was founded in around 597 or 598 making it the world’s oldest extant school. King’s School was endowed by King Ethelbert who also endowed the Church that was founded at the same time but is actually named after Henry VIII as it was refounded at the time of the dissolution of the monasteries. The first Grammar Schools were not schools as we understand them. The educational ideas were derived from Roman and Hellenistic schools of rhetoric and they taught seven liberal arts and sciences – grammar, rhetoric, logic, arithmetic, geometry, music and astronomy – which were regarded as a preparation for the study of theology, law and medicine. The primary subjects were Latin grammar and literature because the schools’ main aims were to prepare scholars for the priesthood making it a vocational education. The scholars were future priests and monks who were being trained to conduct Church services and to read and understand the Bible and early Christian fathers’ writings. As a result ‘grammar’ at this point did not mean learning about the structure of language as we understand it today. The current meaning didn’t develop until the middle ages. It was instead a preparation for reading, especially reading aloud, and was taken to involve comprehension and commentary.